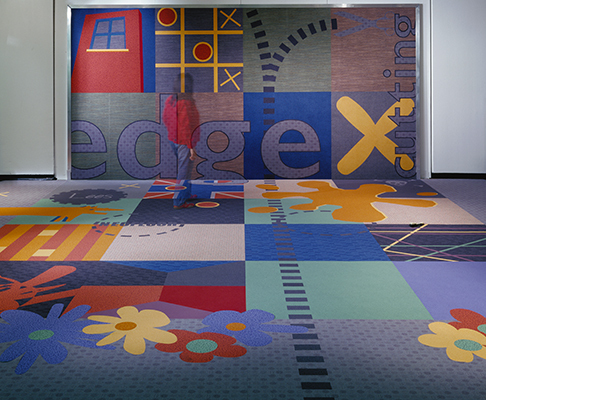 For the Flotex showroom, we wanted the design to emphasize how easy it is to have intricate, rhythmic forms cut into the product – especially during the NeoCon tradeshow. 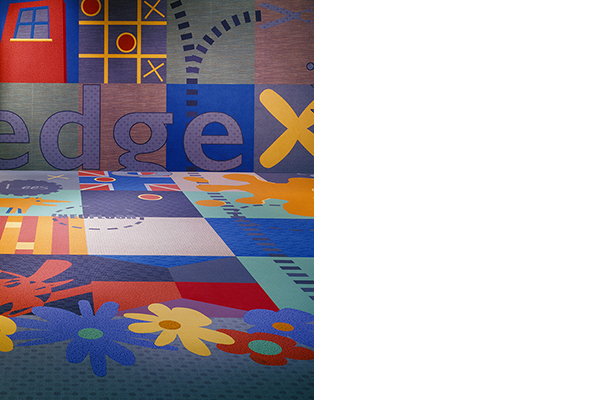 Commissioned to design the Merchandise Mart showroom using only the material goods, we used Flotex as if designing marquetry with carpet. We created an exuberant sampler of images, patterns and colorways. 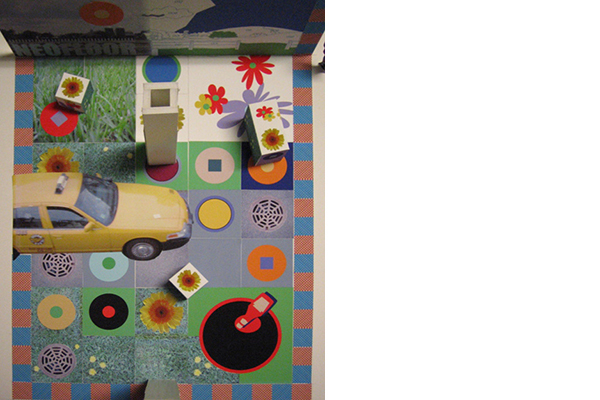 Flowers, crisscrossing lines, logos, dogs, doors, and, even, a skull and crossbones fill wall and floor. It’s a captivating inviting environment that’s tough enough for kids of all ages. Architecture & Exhibit Design: Architecture Is Fun, Inc.
Concept Model: © Architecture Is Fun, Inc.